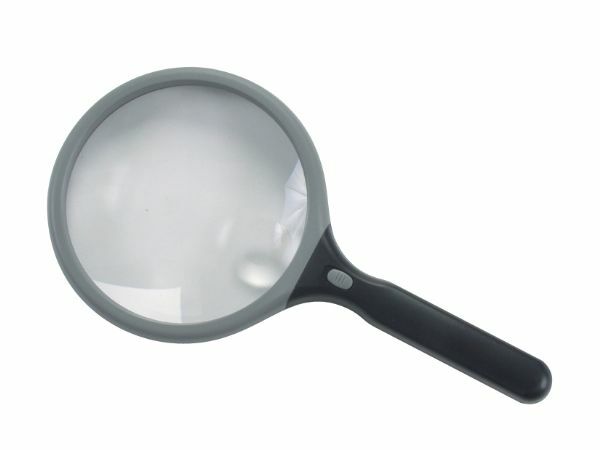 Jumbo 5" lighted magnifier with full view 2x power lens and 6x power bifocal insert. * Great for readers and crafters. * Requires two AAA batteries (not included). 12" x 7" x 1.5"